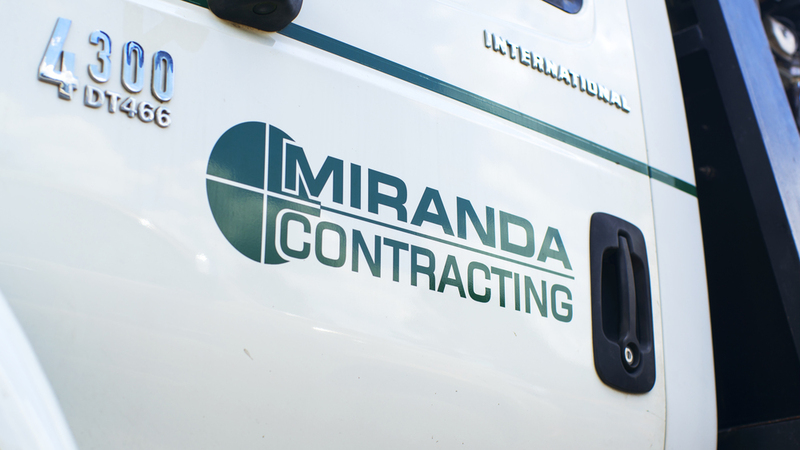 Since 1998, Miranda Contracting LLC has completed over 65 projects, totaling more than $48 million in capital improvements. Our firm is experienced in municipal public-work, multi-family, retail, commercial, industrial, and residential infrastructure construction. More important than what contracts the company completes is how. The firm employs well-tenured and highly skilled estimators, project managers, foremen, equipment operators and tradesmen. Also, the company has a well-maintained fleet of heavy equipment. All storm-drainage installation, utility installation, excavation and site balancing are self-performed. To date, Miranda Contracting has completed all projects on time, within agreed pricing and per engineered specifications. Neither Miranda Contracting nor its principals have ever been party to liquidated damages, bankruptcy, litigation, or arbitration. We understand that you want a competitive price from a reliable, sound and qualified contractor. That’s who we are—hands-on, on time and as expected. Sumner Waitz, P.E., Vice President, Waitz & Moye Inc.